Window Washing – Special Deals! Everyone wants to save a few bucks here and there, and we understand and respect that. While our prices are competitive and reasonable, we understand the desire for deals and discounts. We are happy to offer various specials and discounts on various services to keep you coming back to us time and time again for all your cleaning needs. We offer bundling options at Arizona Window Washers. If you need multiple jobs done, we can cut you a deal. We offer package deals for multiple services rendered in one visit. If you need the exterior of your home power washed and also want your roof, deck, and driveway cleaned, we’ll work something out. If you need your gutters cleaned and your roof power washed, we’ll discuss our cost options. If you want your windows washed and your outer walls pressure washed, we can work something out. Conducting more services at one location in one visit is cost effective for everyone involved. You only need to work around us for one afternoon and we only need to drive to your home and bring supplies once. Everyone wins. 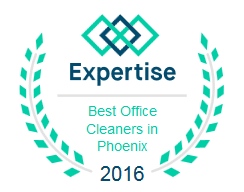 Arizona Window Washers Package Deals! Book online using our fast, easy, free, and always available online quoting software or call today to discuss your service needs and we’ll talk about promotions or package deals to get you the desired results at a price you will love.